LAHORE: (Tuesday, April 10, 2018): Punjab University Institute of Social and Cultural Studies (ISCS) has organized an awareness seminar on ‘Drug Addiction and Abuse: Treatment and Prevention”. 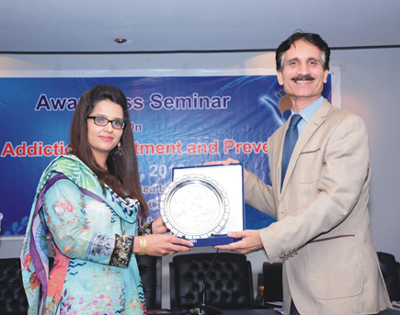 Prof Dr Rubeena Zakar presided over the ceremony while Director Drug Advisory Training Hub (DATH) Syed Zulfiqar Hussain and counselor for drug addicts Hamid Hashmi were the chief guests. The ceremony was attended by faculty members and students. 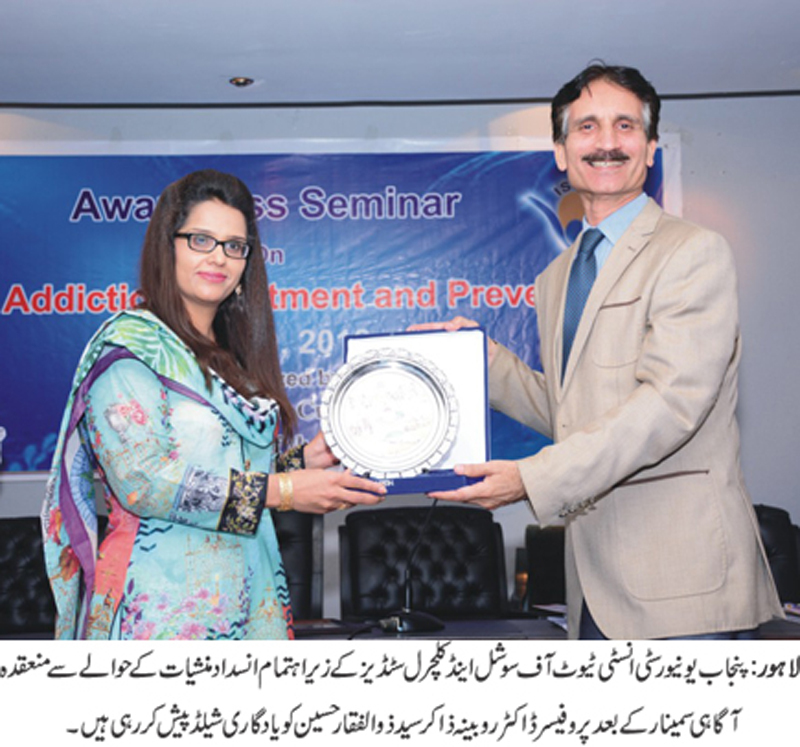 Addressing the seminar, Dr Rubina Zakar said that drug addiction was a global public health. She explained further the importance of creating awareness on such issues. She said that there is an urgent need to prevent our youth from getting indulge in such anti-social behavior through engaging them in extra-curricular and other productive activities. Syed Zulfiqar Hussain explained about various types of addiction and its physiological and psychological effects. He also shared the initiatives taken by government to curb use of illicit drugs. He said that according to the UN estimate, 8.9 million people in the country were drug users. Mr. Hamid Hashmi explained the effects of drugs on personality. He also shared rehabilitation efforts being made for drug addicts. She presented shields to the guest speakers. Faculty members and a large number of students attended the seminar.